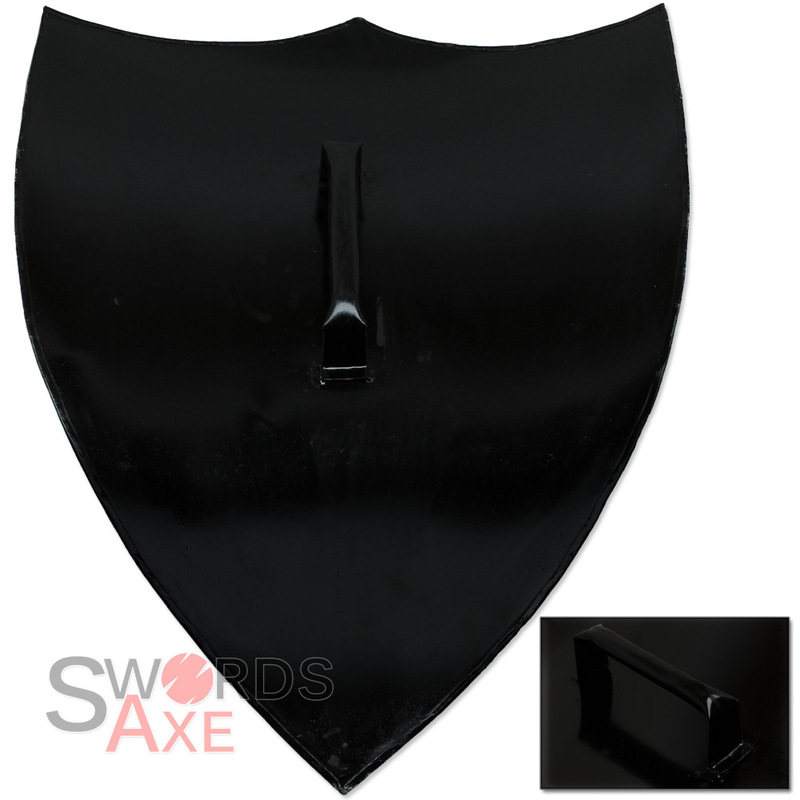 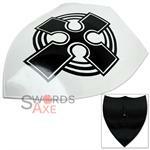 This black and white all metal shield is a replica similar to the European Heater Shield of Toledo. 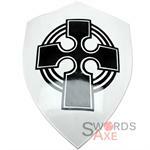 The cross represents the religious icon and the circle is the Holy symbol of saints. 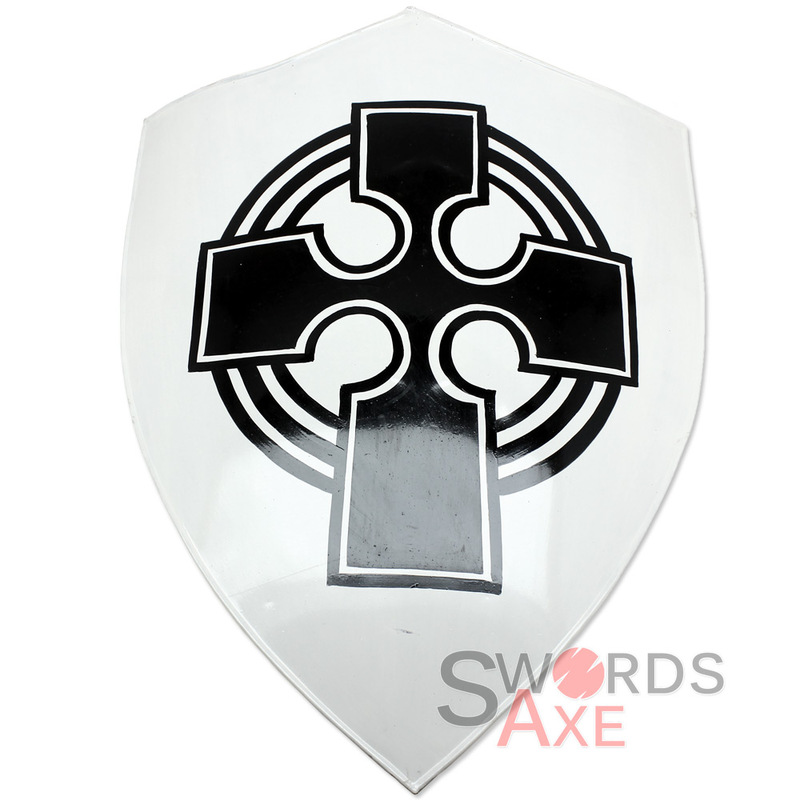 Shield is handmade of layered steel and hand painted. Note: This is a handmade collectible and may contain slight imperfections which are unique to each piece, and occasionally some dents are visible.